Maybe his love of flight started with the “cool old planes” he first encountered as a young boy at an EAA pancake breakfast fly-in he attended with his sister in his hometown in upstate New York. Or perhaps, it was the visit to the Air & Space Museum at the Smithsonian that intrigued him. But while Tim Costello was pursuing his B.S. degree in Civil & Environmental Engineering at Clarkson University, he had an opportunity to complete coursework in FAA ground school. Then while checking out sailplanes, he connected with an ultralight flying club and his passion really took off. 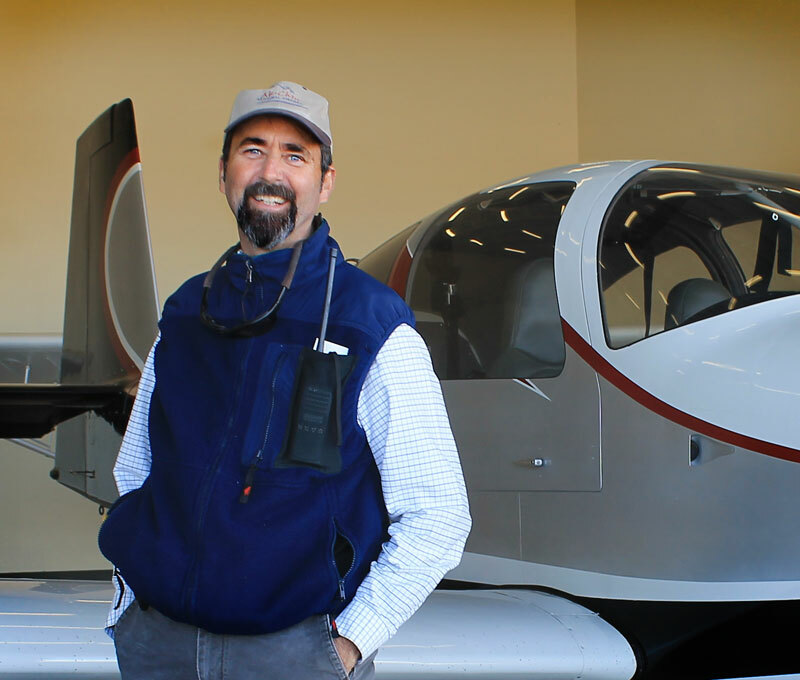 Attracted by Arizona’s mild climate and wide open air space, Tim was able to take his soaring hobby to new heights and eventually landed a position as the Airport Manager at the Cottonwood Airport after serving as the City’s Public Works Director. When he was hired as the new Airport Manager for the Ak-Chin Regional Airport in 2013, he not only brought a solid foundation in planning public projects, but also years of specific experience planning and delivering airport improvement projects, successful general aviation services, and an understanding of aviation safety. In his role at Ak-Chin, he is in charge of day-to-day operations, airport planning, and development and implementation of significant capital plans and project upgrades to the general aviation airport. The Ak-Chin Regional Airport, owned and operated by the Ak-Chin Indian Community, currently generates the majority of its traffic from flight training, business and personal transportation and recreational operations. The majority of aircraft using the airport are single engine and multi-engine piston aircraft. Other users include rotorcraft, gliders and ultralights. Tim is busy planning and overseeing the next phase of improvements intended for the airport. When he has time though, Tim loves to chat with the pilots and passengers who frequent the self-service fuel island at the airport. Fly in and say hi! Also see the “Airport Staff” page.